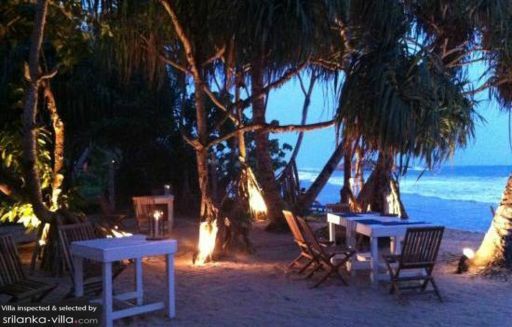 Selected Villas for rent near Zephyr Restaurant and Bar (Sri Lanka) - Contact us now! By day, the eatery serves as a relaxing beach bar, offering diners with cosy sun loungers, bean bags and a selection of refreshing cocktails. When night beckons, it turns into a cosy restaurant, with the warm glow of candles and fairy lights adding a romantic vibe to the ambience of the eatery. Visitors can look forward to energetic performances by live bands on certain nights during the week.